More than 200 women from various districts of Herat Province rallied in Herat city on March 13 to express their support for peace talks and urge the Taliban to end their war with the Afghan people. HERAT -- More than 200 women from various districts of Herat Province rallied in Herat city on March 13 to express their support for peace talks and urge the Taliban to end their war with the Afghan people. The women, carrying banners and signs with peace slogans on them, marched throughout the city, including in front of the governor's office. The demonstrators lamented the continued suffering endured by Afghans because of the war with the Taliban and said they wanted to send a message to the militants that they should refrain from armed opposition. "We want peace because peace preserves our dignity, and we are tired of war, and it has to stop," Mehrafarin Katebi, 35, a resident of Herat city and participant in the demonstration, told Salaam Times. "We've lost our young. There should be no more killings of young Afghans and suicide attacks as we can't tolerate them," she said. "We ask the Taliban to embrace peace, become brothers with us and throw away their weapons," Katebi said. "How long will this situation last? All our mothers and sisters have seen a lot of pain." Fatema, 55, a resident of Injil District of Herat, said she joined the demonstration to help express the pain of mothers who have lost a child due to the conflict. "We ask the Taliban to make peace so that our country becomes calm -- no more war," she told Salaam Times. "Every young person who dies pains us. We demonstrated here today for our youths as they're our children. We mothers have experienced great pain." "When any young person dies -- whether a Talib, a member of the government forces or an ordinary person -- mothers like me suffer so much grief," she said. That sentiment was shared by other women at the rally, including Sara Fateh, 18, a resident of Herat city. "We want peace; we want to defend the rights Islam has given us," she told Salaam Times. "We want peace so that chaos can replace calm. All families who have lost their loved ones have experienced grief. Continuity of war is a problem." Herat Governor Abdul Qayum Rahimi and a number of local government officials participated in the demonstration and promised that women's rights and achievements would be preserved in any peace talks. "Women were brave to raise their voice for peace," Rahimi told reporters in Herat. "I came here to hear your voice and take your voice to the central government. All of us need peace, and it must come." "We don't want the kind of peace that damages our country and disregards women's rights," Rahimi added. "We need the kind of peace that can raise Afghanistan's prestige and our mothers and sisters' dignity. We want no more war and no more killing of Afghans." Boosting women's voices in Afghanistan should be a key part of any peace talks, Herat Women's Affairs Director Anisa Sarwari told Salaam Times. "Women don't want their achievements to be overlooked in peace talks," she said. "Women have raised their voices in Herat and all over the country regarding this issue." "We want peace but the kind of peace that improves and expands women's participation," Sarwari said. "Women are very hopeful in Herat Province, and the international community supports them," Sarwari added. "We are confident that the international community is on our side and that it will no longer allow" the Taliban "to ignore women's rights." For the past two months, women in various provinces of Afghanistan including Herat have raised their voices in calling for the preservation of their achievements and rights in peace talks. "With the international community's support, Afghan women have made achievements in many areas," Kulsoom Sediqi, a women's activist in Herat city, told Salaam Times. "There have been many efforts that helped women to flourish in various areas -- political, social and economic." "Women have made many sacrifices to reach this milestone, and their serious concern is that the Taliban may limit women's activities if they join the government," Sediqi added. "One of our major worries is that our achievements could be eliminated as we Afghans still have bitter memories of the Taliban era," Sediqi said. "We hope that the peace talks can have good achievements for the Afghan people," Jahantab Taheri, a member of the Herat Provincial Council, told Salaam Times. "We have had war for the past four decades, and we're really thirsty for peace." "Afghan women should have a key role in the country's future, and their rights must not be overlooked," said Taheri. "We call upon the government's armed opposition to stop the war and choose the option of peace," Taheri added. "Afghan women have made many sacrifices to achieve their rights, and they won't allow anyone or any group to ruin their rights." Indeed, such movement whether conducted by women or men should be strongly supported not only nationally but also internationally. Following the rally of women, I as an Afghan strongly pledge Taliban to come close and shake hands with the government of Ashraf Ghani who really is the president wants the development of the country. Development of our country is based on having good and mutual relationships with the neighboring countries who should be of assistance to us to improve our relationship and work toward development not our countries but also the region. Support of the international communities in this regard is very essential and should be provided to all of us to bring peace, tranquility and prosperity to the region. 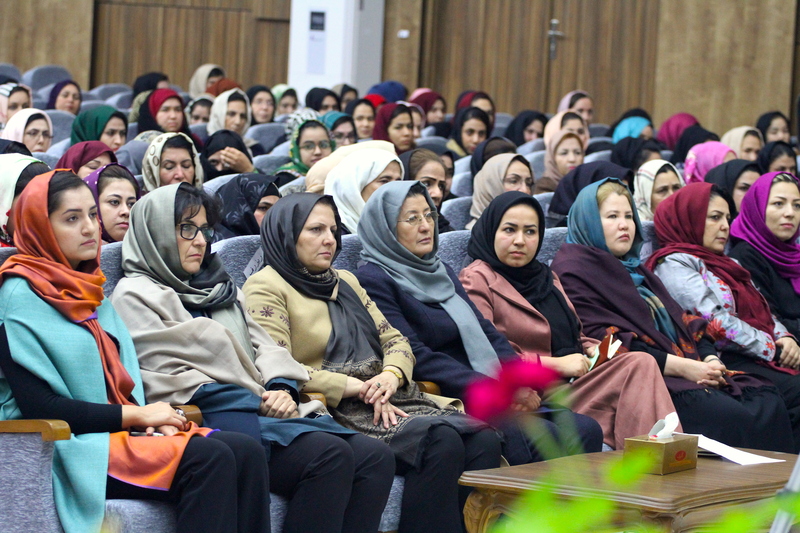 Afghanistan's first lady's office has mobilised a network of 11,000 women from across the country to share their ideas for peace and engage in talks with the Taliban. 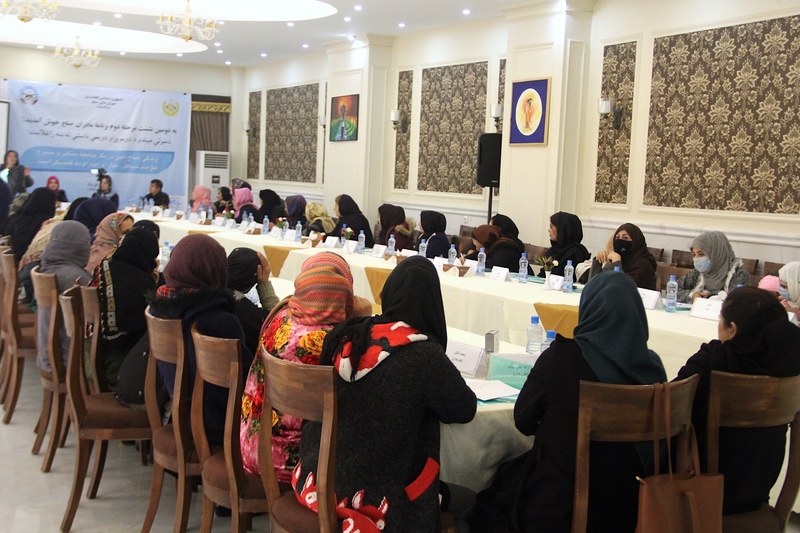 More than 60 women gathered in Herat city as part of the Peace Mothers initiative, a growing network of women from across the spectrum engaged in advancing the peace process. 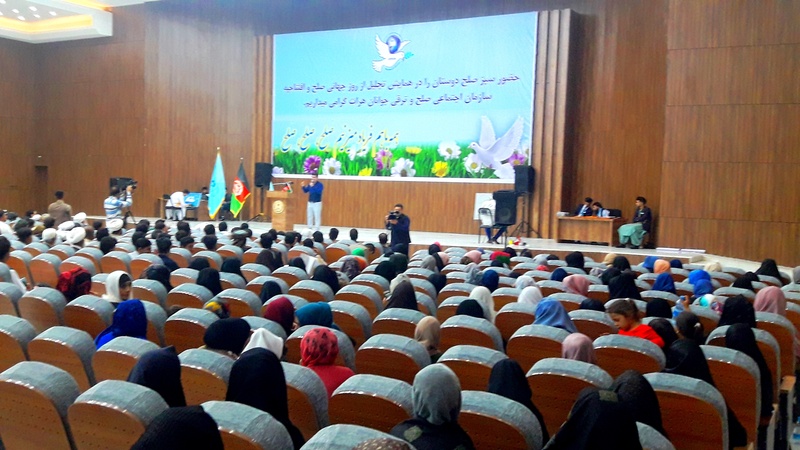 More than 200 women participated in a ceremony in Herat to celebrate the International Day of Peace, calling on the Taliban to refrain from killing more innocent Afghans.